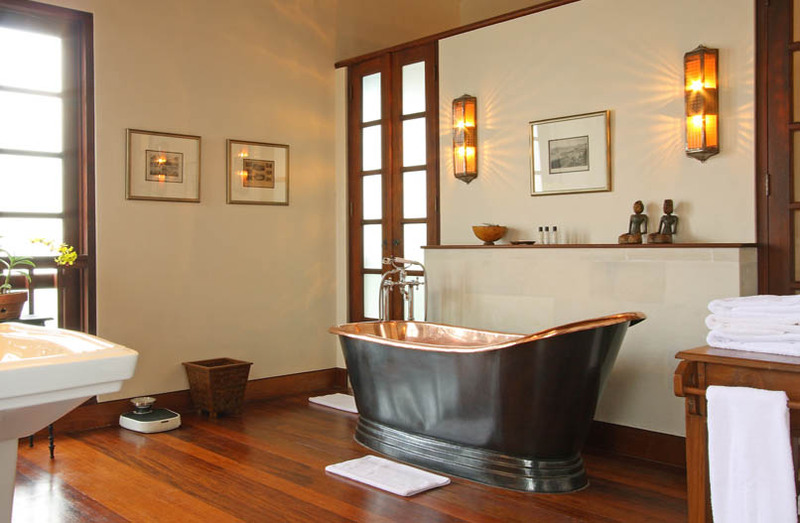 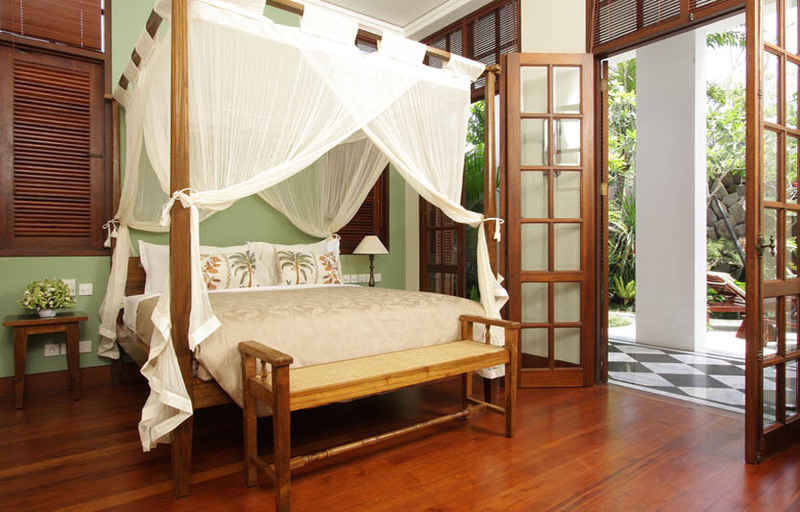 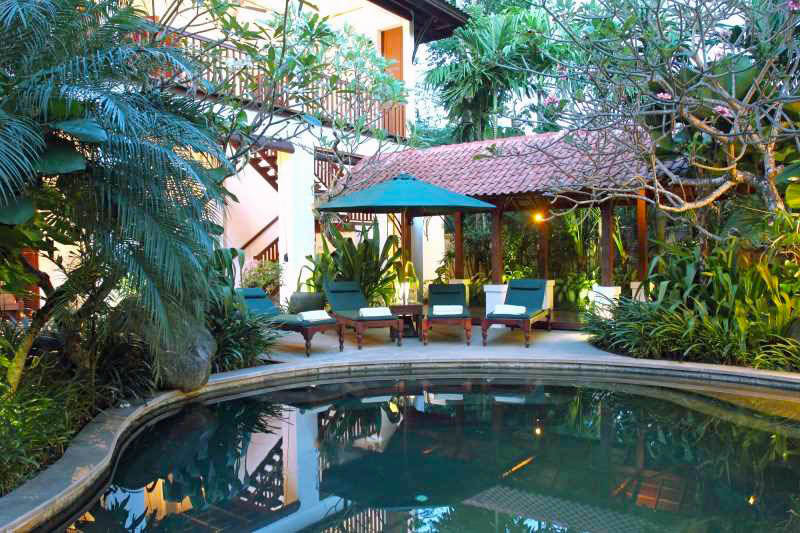 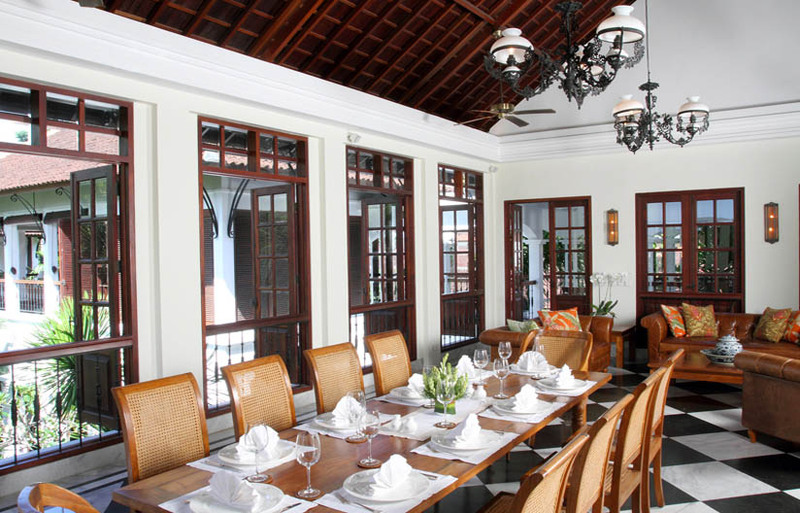 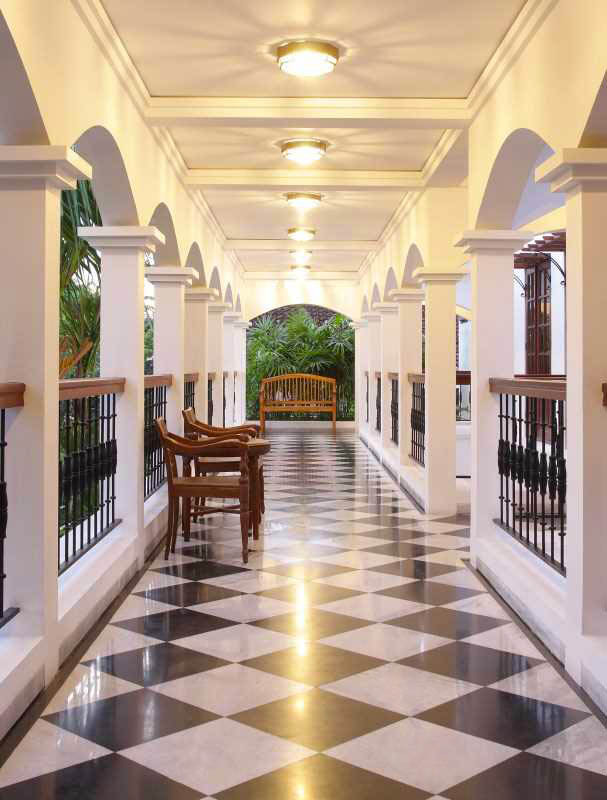 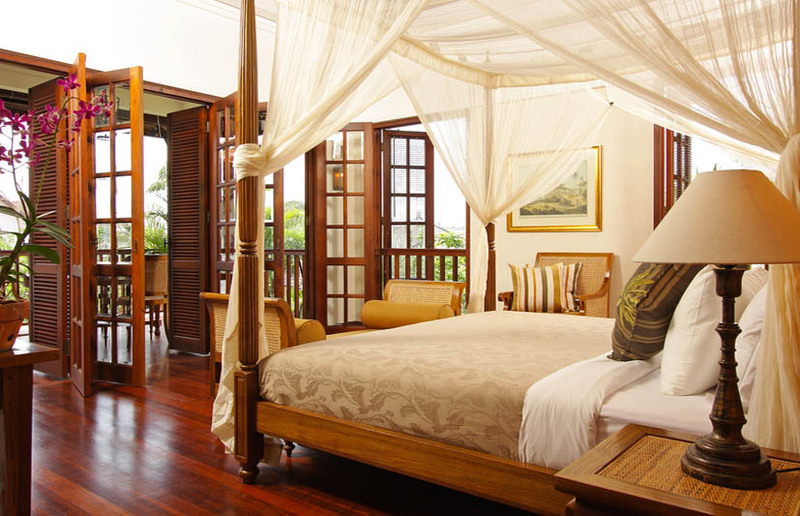 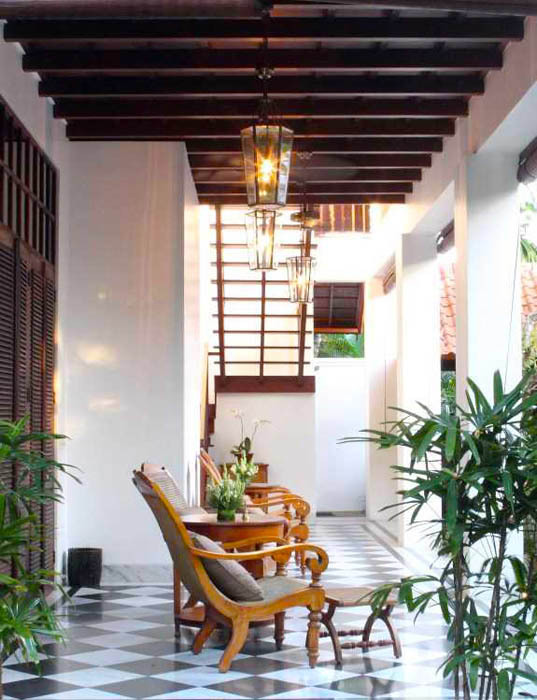 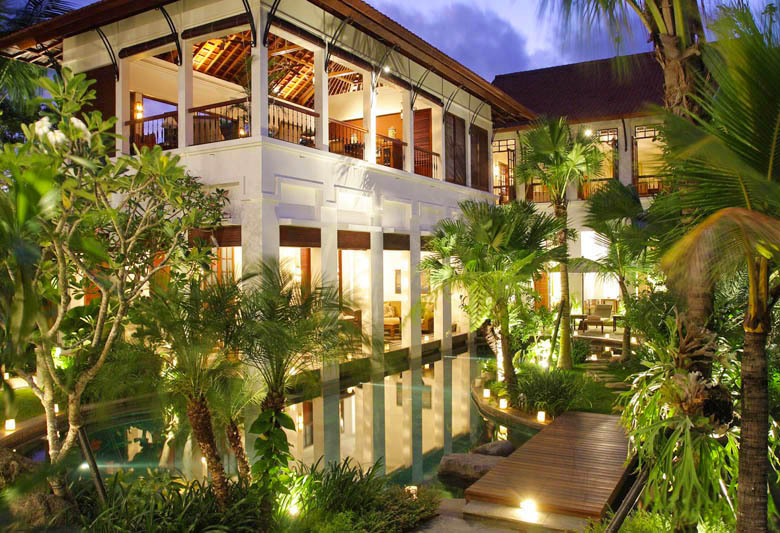 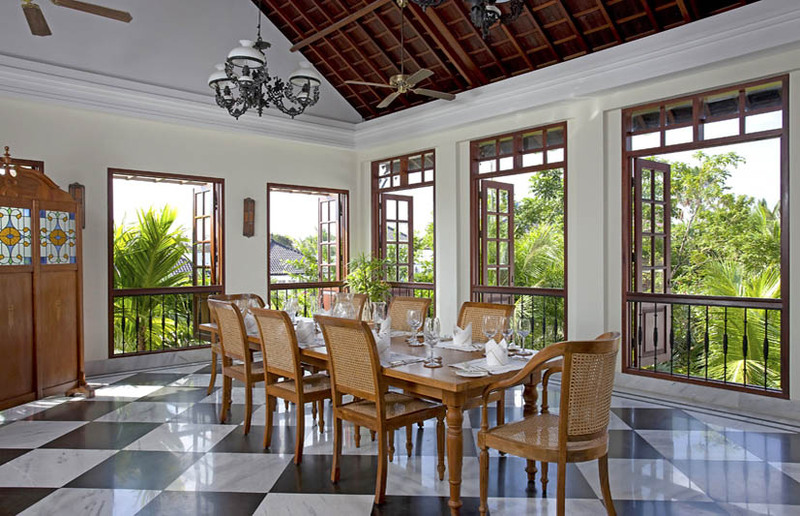 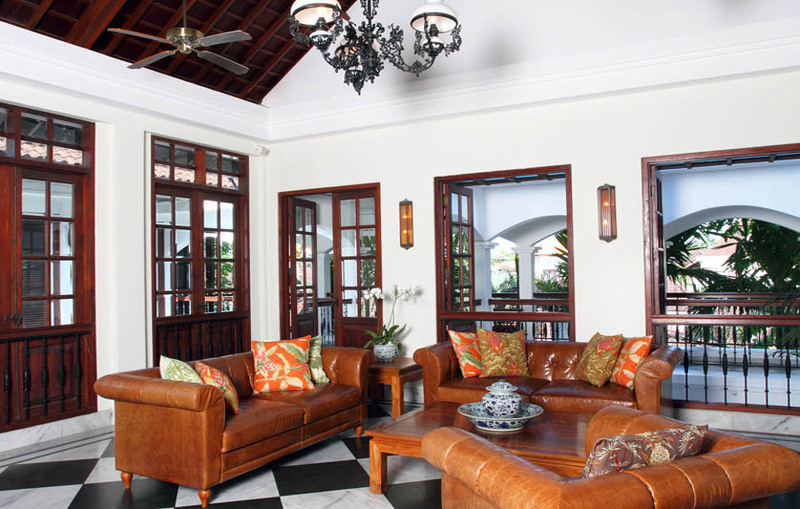 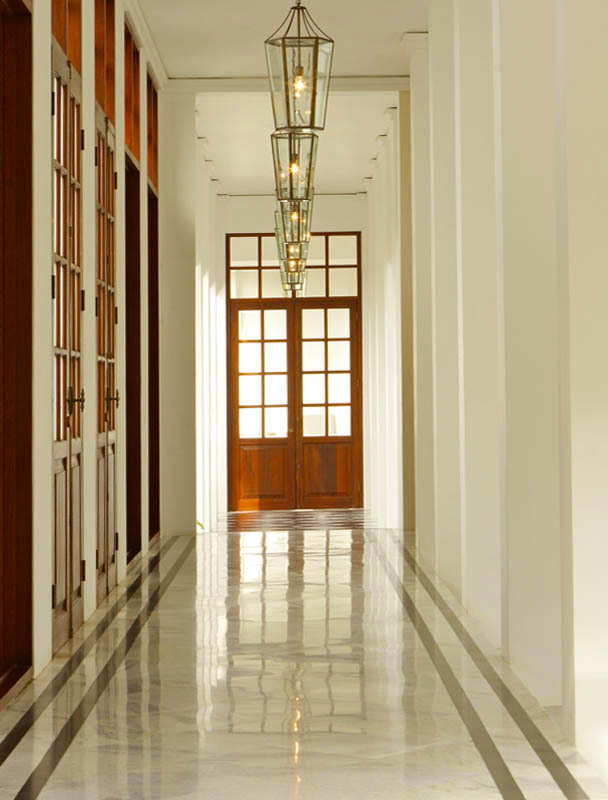 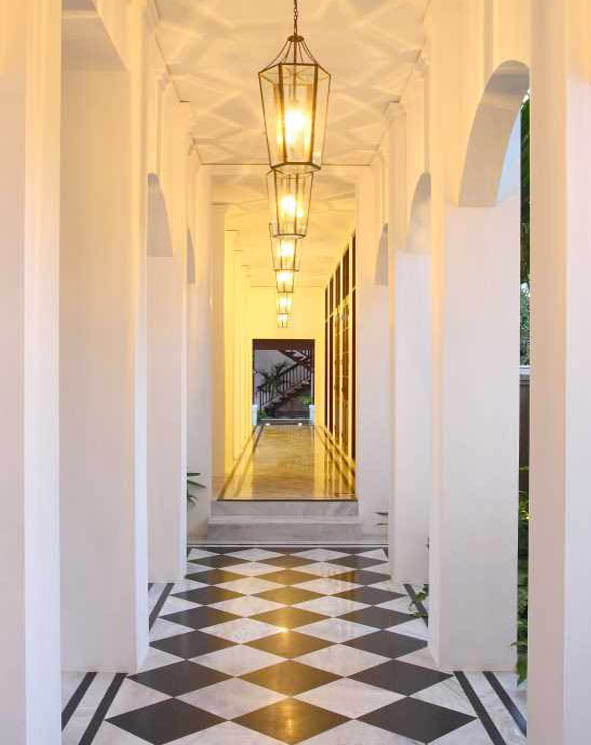 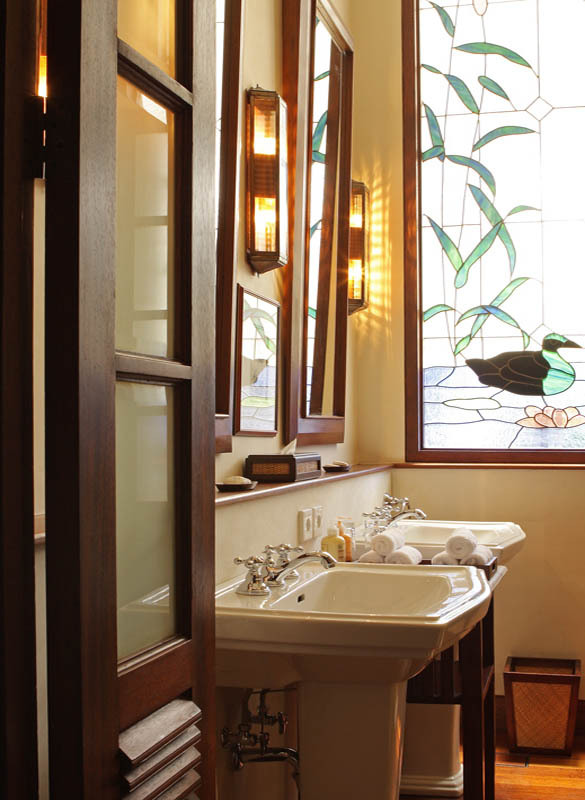 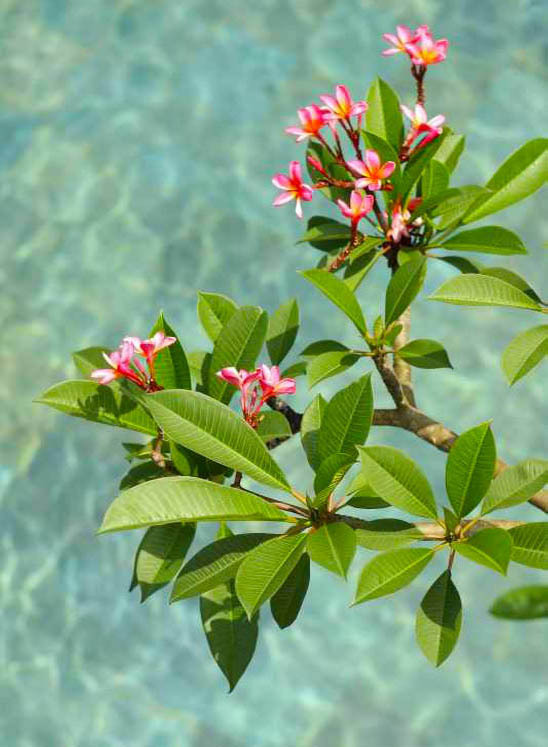 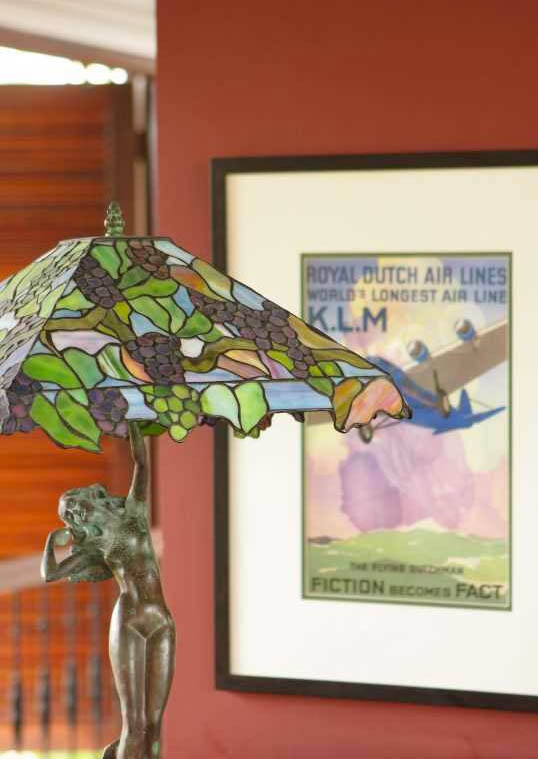 Villa Batavia is a stunning house which reminds the 1930â��s and the colonial period. 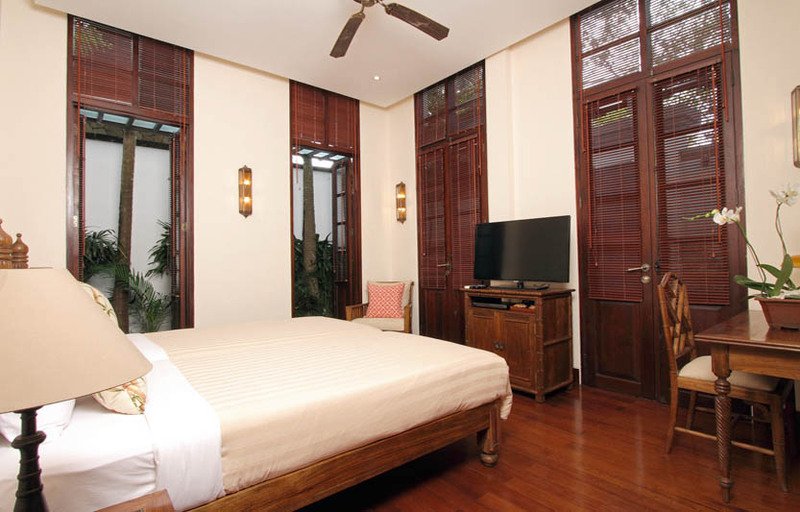 This rental features a 5 stars service and a high standard of comfort. 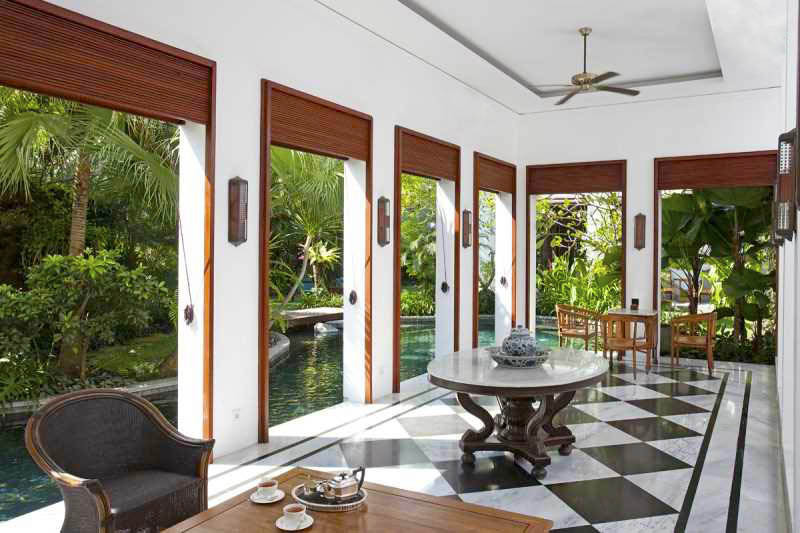 Located close to the ocean in Laksmana estate, this luxury house stands in the chic area of Seminyak, only a few minutesâ�� walk from most of the trendy places of South-east Bali. 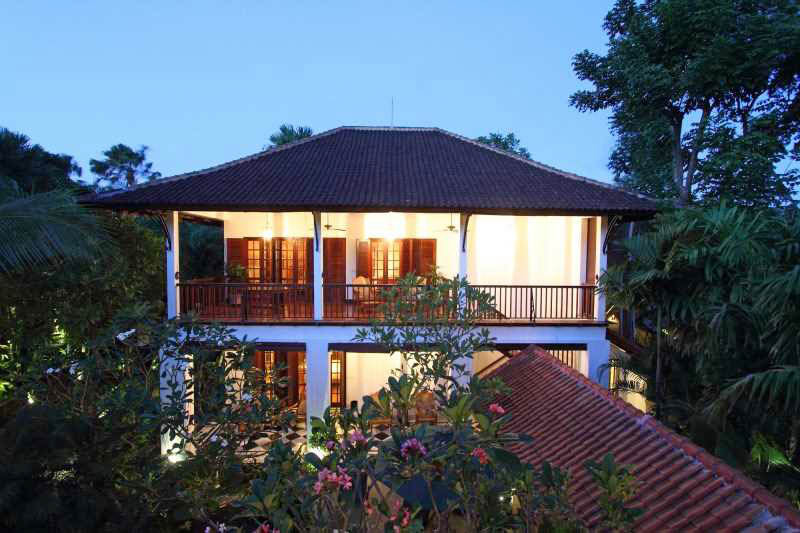 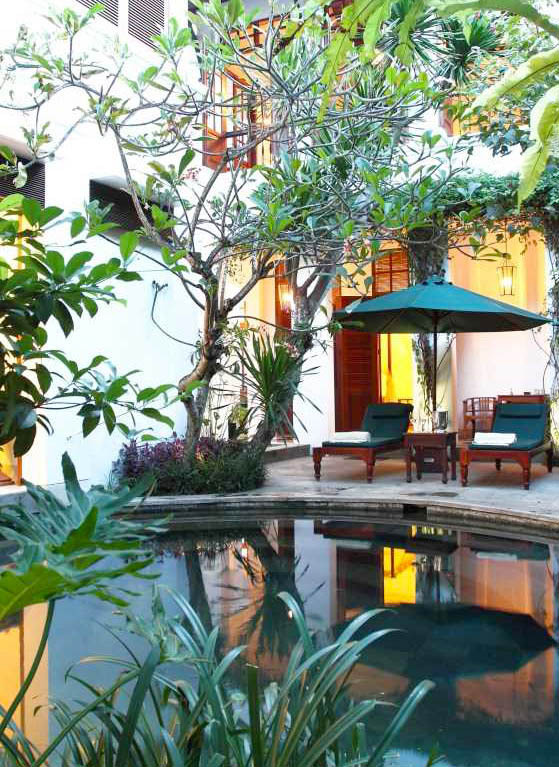 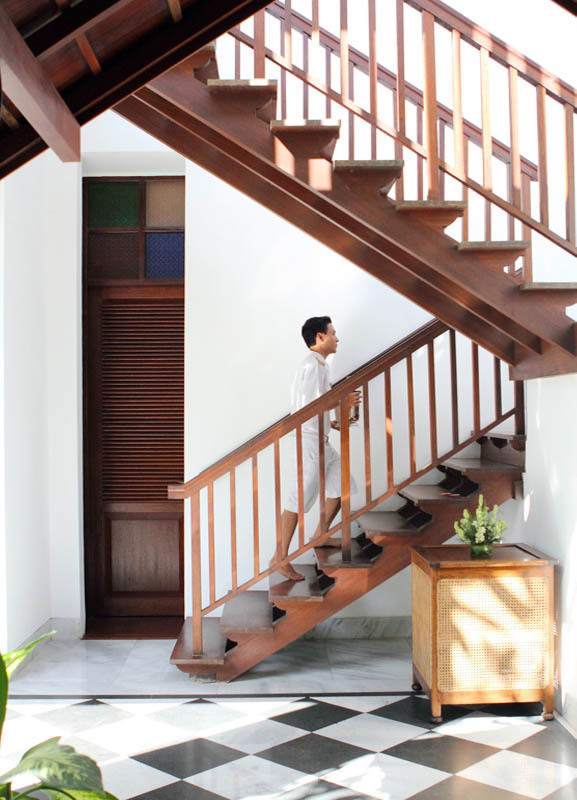 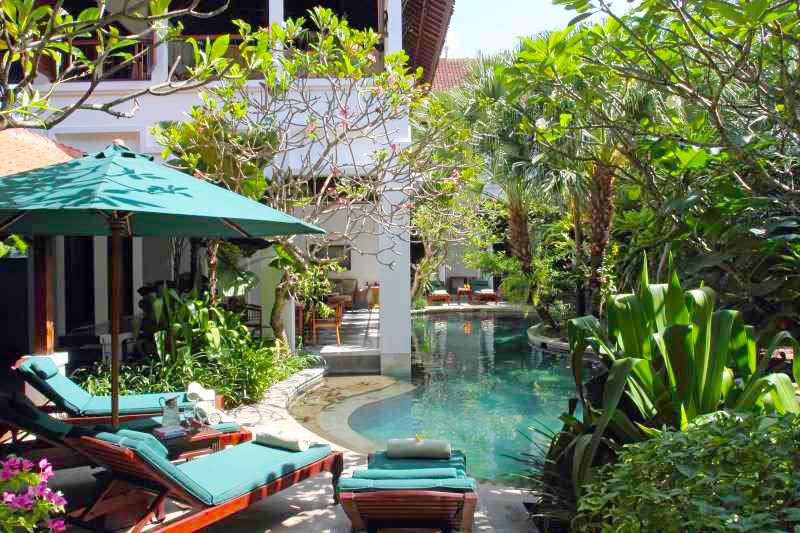 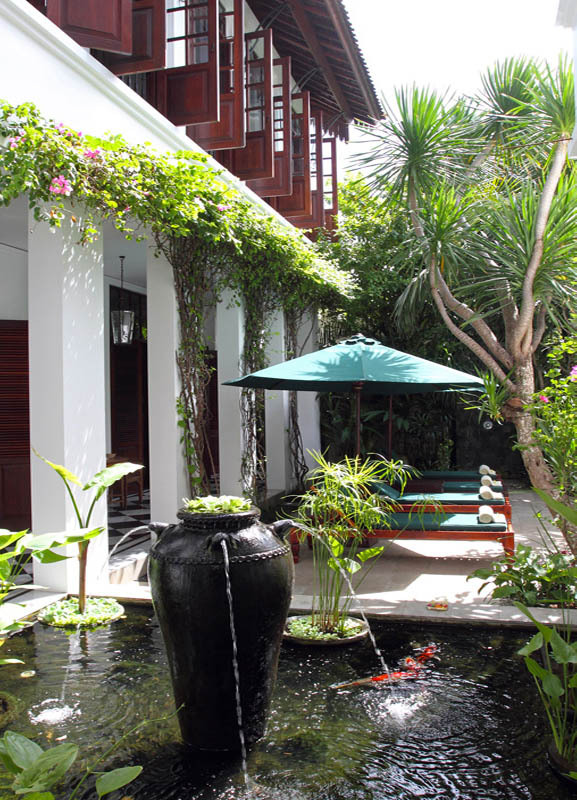 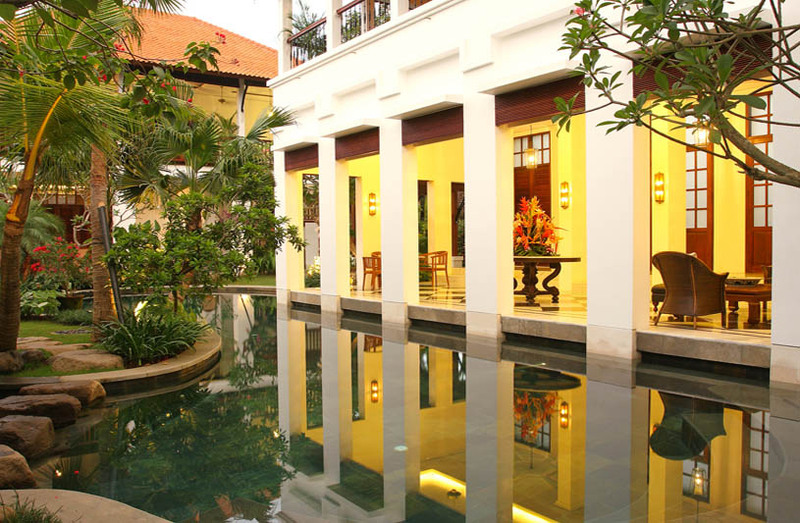 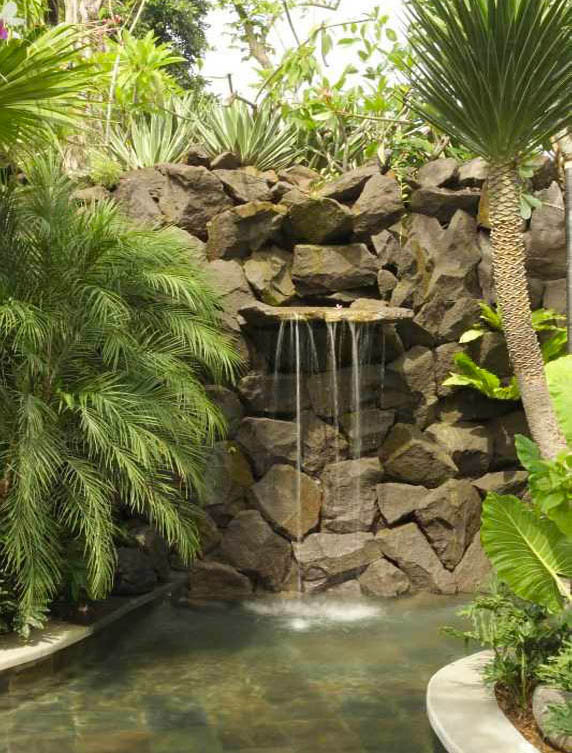 The gorgeous villa can host 10 guests in an enchanting atmosphere provided with hi-tech amenities. 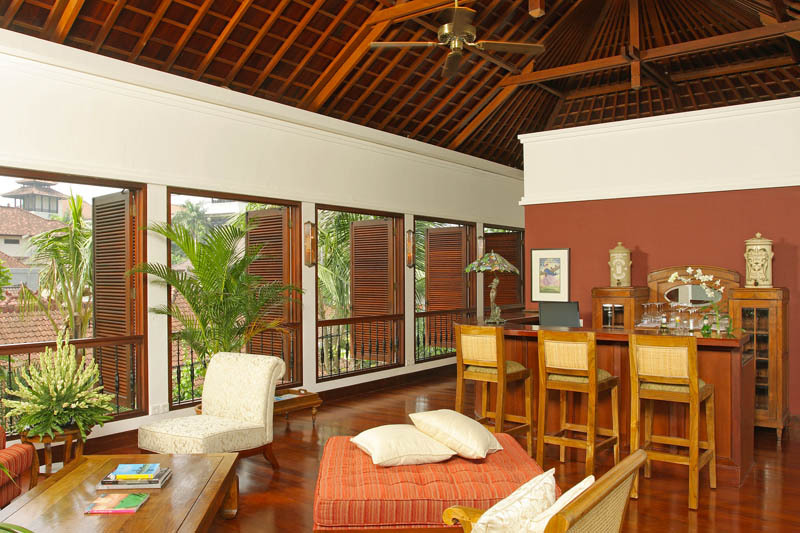 Its 5 larges bedrooms with terrace reflect the elegance of the whole. Inside furnishing will make you forget about your daily life and it will allow you to feel very serene. 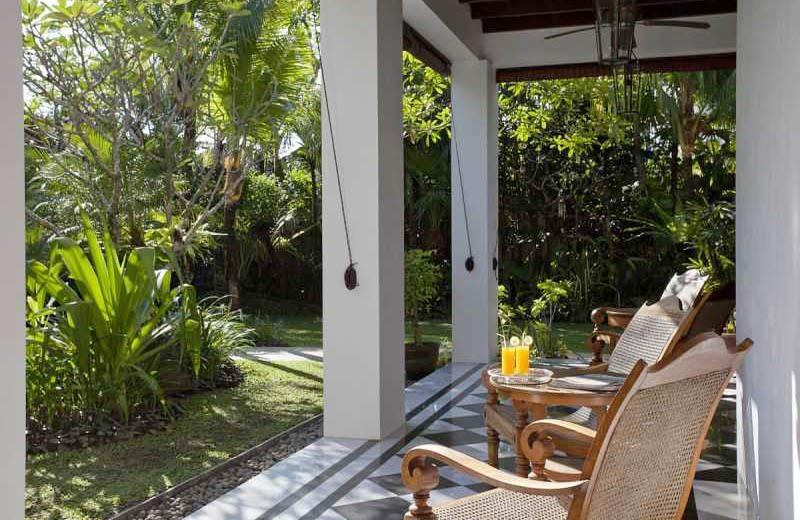 Marble and woodworks give the villa a special charm while wide open-sided living areas enable to take advantage of the warm climate of the Island of Gods. 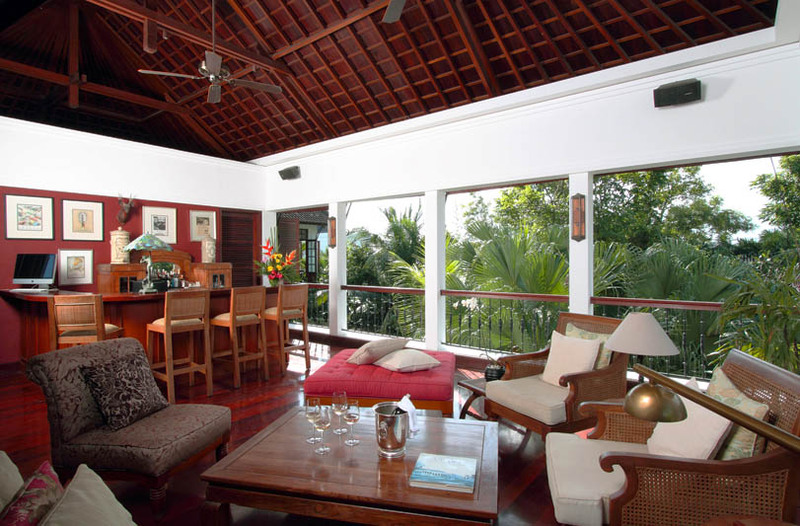 Whatâ��s more, an iMac, an audio system Bose, iPod docks and large Tv screens will allow you entertainment moments. 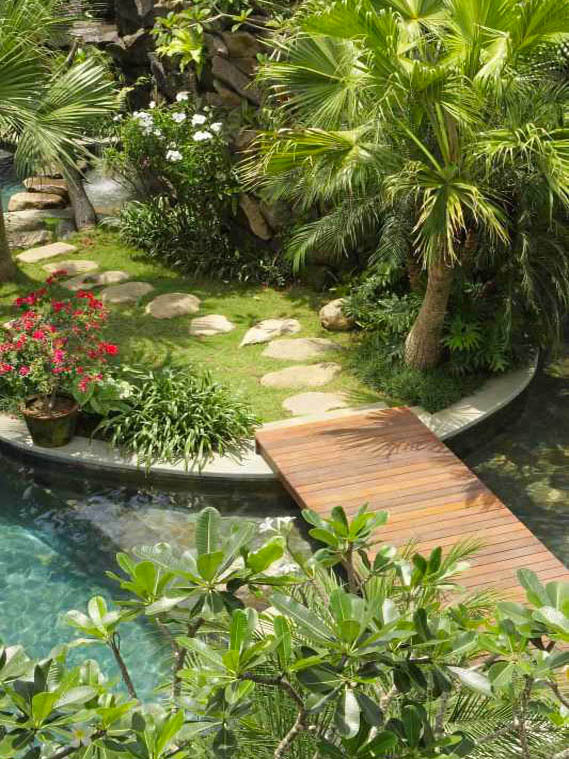 Outside, everything is suitable for relaxing. 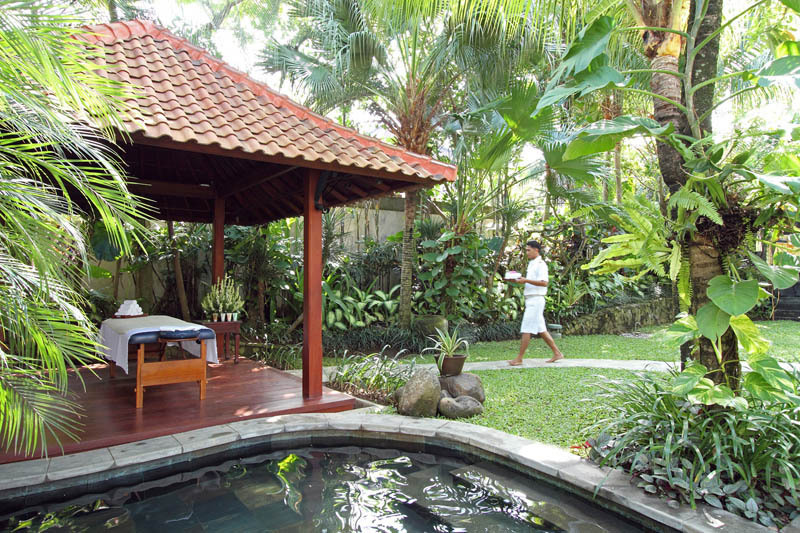 A â��baleâ��, the traditional thatched-roof Balinese area to chill out will invite you to spend lazy hours in the tropical garden. 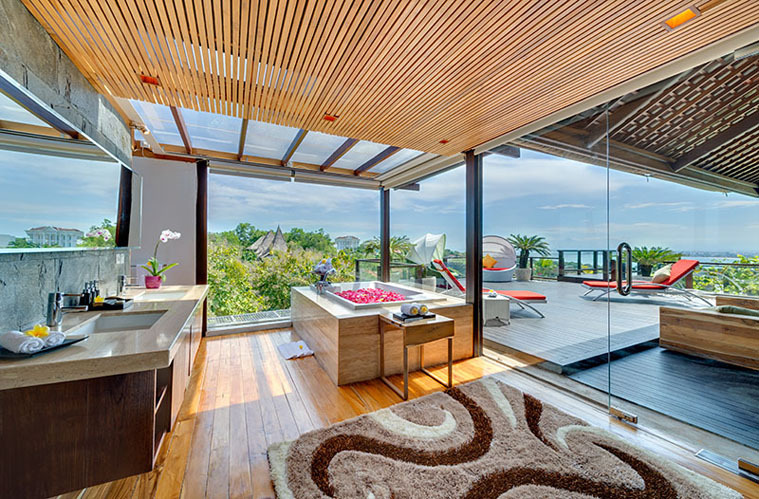 Massage beds are also available to have a good time. 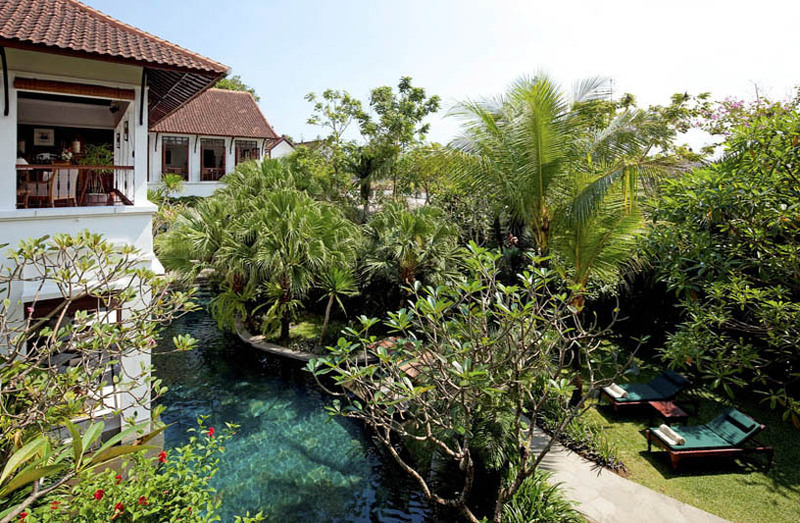 In order to refresh yourself after a sunbath, you can enjoy the huge 18 meters swimming pool. 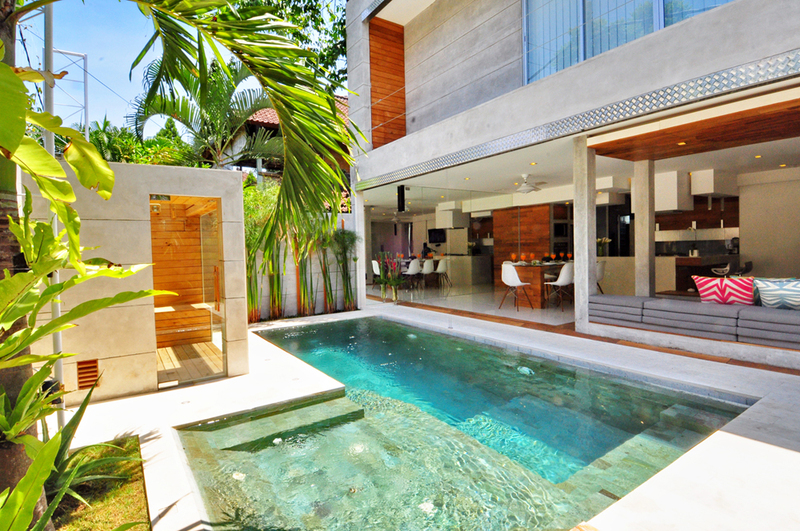 Outings are easy thanks to the location of the villa. 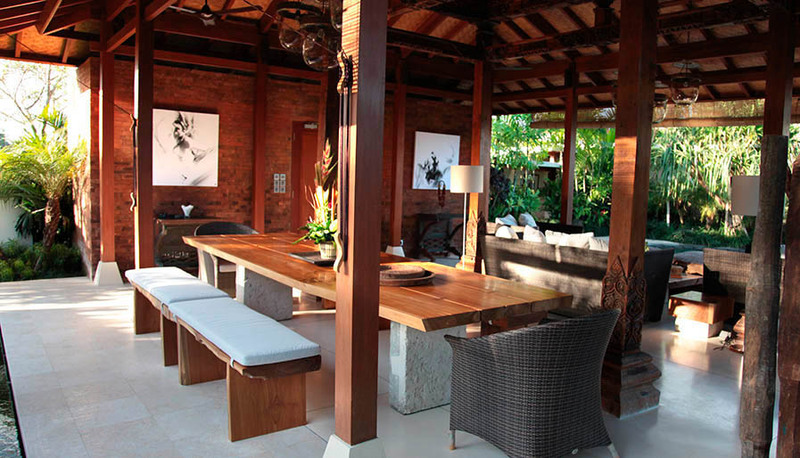 You will find the beach within a 200 metersâ�� walk while the main street composed of many trendy restaurants, art galleries, shops and bars is at less than one kilometer from the house. 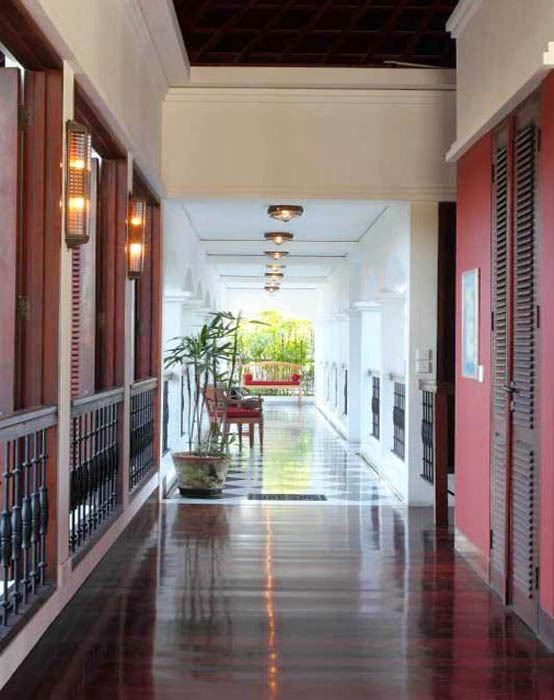 A complete and smiling staff will take care of your comfort and of the property throughout your stay. 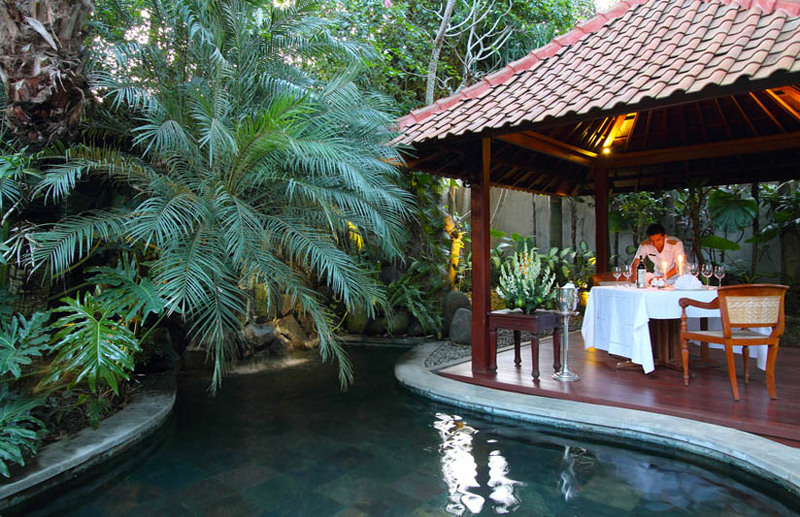 A high-skilled chef is also dedicated to villa Batavia for you to enjoy delicious meals that he will prepare according to your wishes. 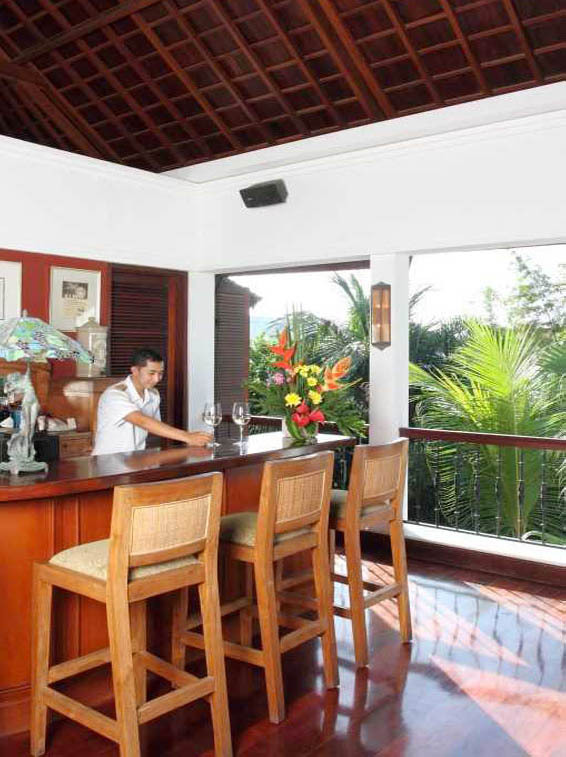 The entire staff will be very attentive regarding the satisfaction of your family and your friends. 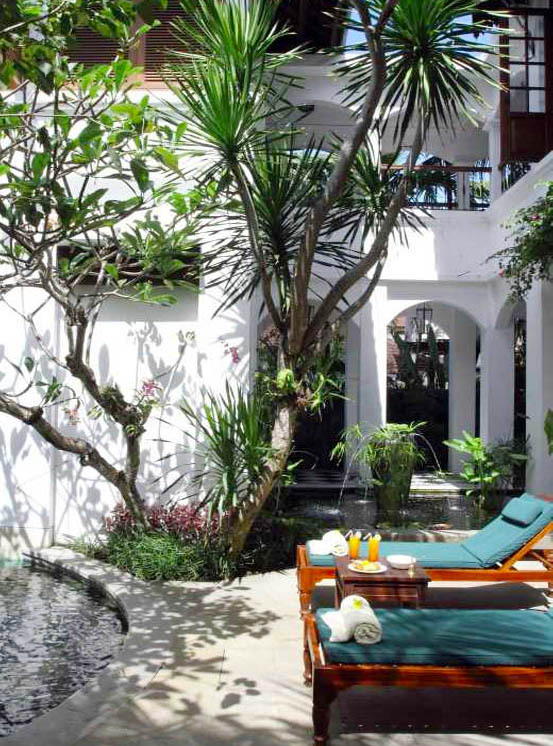 Thus, thanks to this team and Bali Je Tâ��aime one, your holidays in this haven of peace will definitely be a memorable moment in perfect conditions. 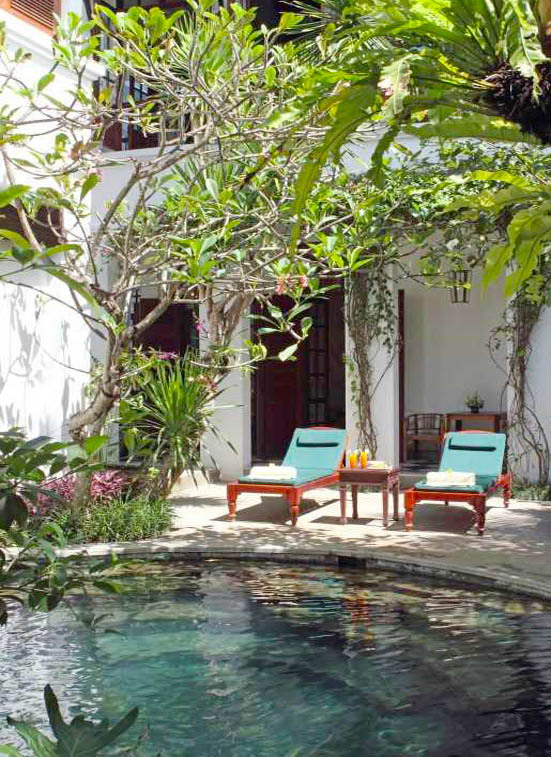 Moreover, And Bali Je t'aime villa rental can organize activities, tours or even transport so that you are far from any constraint.